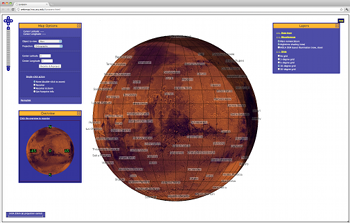 Lunaserv is a Web Map Service (WMS) implementation, much like MapServer and GeoServer. 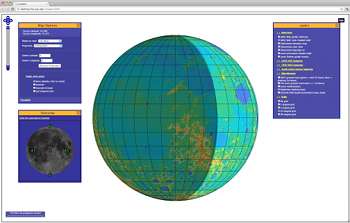 Lunaserv was developed as part of the Lunar Reconnaissance Orbiter Camera (LROC) project at Arizona State University to circumvent some issues with rendering global non-Earth datasets. The LROC team determined that planetary science creates unique requirements in a map server such as the need for fast and accurate rendering of global datasets, support for the JMARS projection, for IAU2000 spatial reference systems and accurate rendering of non-linear projections. The LROC Science Operations Center (SOC) maintains a global dataset that includes more than 1,000,000 observations with a released size of over 200TB and continues to grow by about 1,000 new observations per day. Other requirements of the LROC SOC include making these data available for LROC science team members, LROC instrument operations, LROC PDS data node, researchers as well as for education and public outreach. 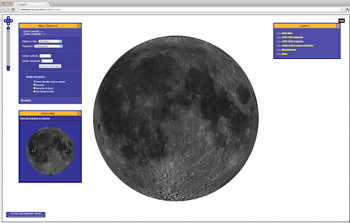 Lunaserv also includes Lunaserv Global Explorer, a configurable WMS front-end that supports switching planetary bodies and projections on the fly. This interface uses OpenLayers as the map request/layout engine with some extra code to support projection changing and reading layer configurations from a YAML configuration file. The configuration file can specify one or more planetary bodies, projections, and a variety of layer options for each body.